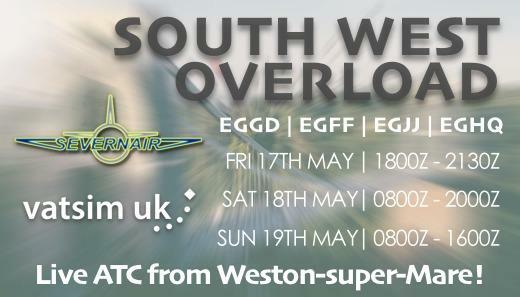 South West UK based VA Severnair, in collaboration with VATSIM UK, are once again proud to present "South West Overload". Over the weekend of 17th - 19th May, ATC services at Bristol, Cardiff, Jersey and Newquay will be coming live from a conference room in Weston-Super-Mare providing a seamless service to all flying to, from and over the South West of the UK. For this event, as with previous years, all controlling at these four airfields will only be conducted from the event itself by the Overload Event team only. We look forward to seeing you on our scopes! Of course, control at all the other airfields in the SW and French Islands are available all weekend for anyone else who wants to play. I *think* this our 10th year of this event although it has its real roots in @Mike Dean's parents hotel not long after the war. 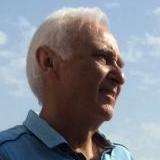 You are invited to fly VFR or IFR in France when Bernard will be taking his CPT on Bordeaux Centre in order to gain his C1 qualification. You can fly from anywhere to anywhere, you can plan to depart or arrive, or simply fly over towards other destinations... what we are willing is to darken the skies between 19 and 21:00 Zulu to challenge him. Just wanted to write a big thank you to the event organisers and controllers yesterday. The quality of control from all the London sectors and aerodrome controlelrs was really superb. Really proud to be part of this divison. Although I had the good ol' TOGA P3d Crash as I experienced windshear on final approach which ended the flight prematurely, I had a fantastic time on the arrival (KLM10QM). Thank you again to the excellent controllers.